Another BB cushion, but only a brief review. I initially bought this before my Laneige BB Cushion which I've become a big fan of, but found myself being very confused by this. The HERA UV Mist Cushion is a very very sheer face base product, which gives the most ridiculous amount of glow to your face that you could imagine. When I say glow, I mean that it looks like I've got water splashed on my face at times. As an all-over face product, I personally find it very difficult to use. I have tried using it on its own and found it didn't really stay in place for as long as I would want it to. I think it would work as a bit of a highlighter, if you gently press it into areas you want to add a highlight effect to. Another problem is the shade range, which is so minimal, and the fact that the product itself comes across very very white. Perfect for the beauty culture in East Asia; less useful and practical here in the west. I think I would be more likely to wear it in the cooler months when I am paler, and I'm looking for something that is very moisturising against cold and wind. For the moment, it's not quite what I need right now. Pesentation wise, it comes in the standard BB cushion compact format, which means it's very easy to carry around for touchups. 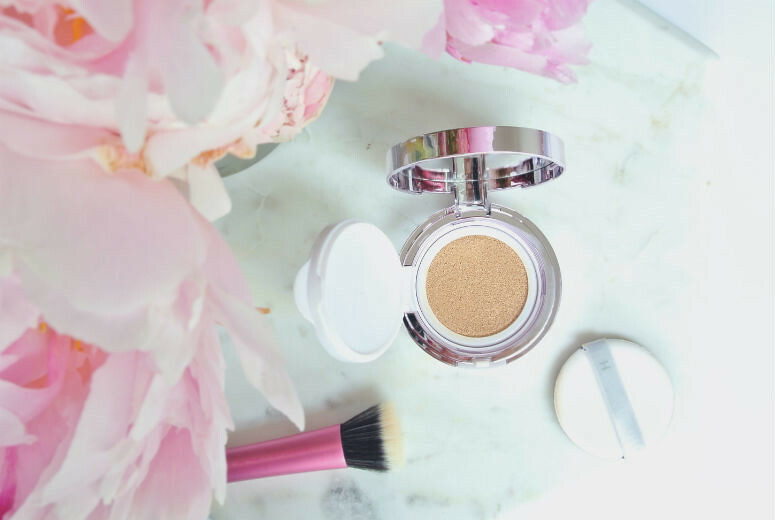 If you're interested in getting in on the BB Cushion compact trend, then I think a trip to a Lancome counter would be best for you because the product is more catered to western tastes of coverage and has a wider shade range. I'll definitely keep plugging away at the HERA version to see how best it suits and under what conditions, but it's not necessarily one I will pick up again. Have any of you tried out a Cushion Compact or want to? What are your thoughts on the new trend?